If you’ve ever said, “Yes, I like the Audi Q3 but I want something a bit more quaint,” then Audi has just the crossover for you. It’s called the Q1. And this pint-sized kraut-carrier is coming in 2016. Not familiar with the Q1? Don’t fret. Until this point, all discussions of the Audi Q1 – or the Geo Metro on dubs, as we like to think of it – has purely been rumor-based. Now, however, the A1-based crossover will be rolling off the assembly line in a few short years. 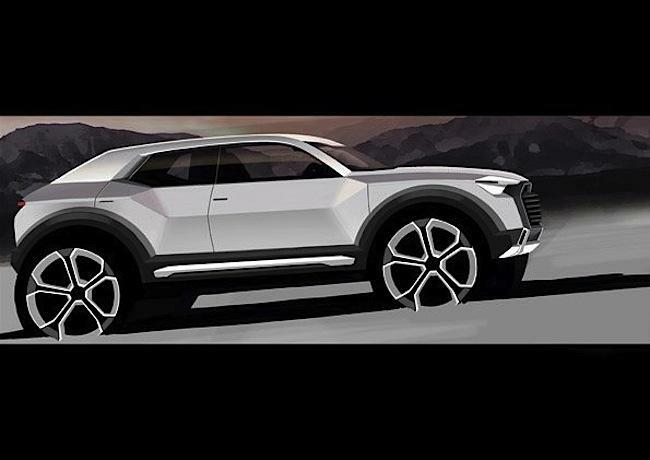 Wondering why Audi needs – or wants – a micro-crossover? Audi has been watching BMW’s success with cars like the MINI Countryman and has grown very envious indeed. Accordingly, it’s aiming to expand its model lineup, which stands at 49 today, to 60 models by 2020. See? Paying a bit more for the Q1 will make your life infinitesimally easier! If the Q1 makes its way Stateside, look for it to be powered by a 1.4-liter TFSI gasoline engine at first, with a 1.6-liter TDI diesel engine to follow. If we’re really lucky, Audi might even build an SQ3 or – hold your breath – an RS Q3 for those of you who love gobs of power to go with your pygmy wagon. We’ll be following this story closely – but not too closely – over the next few years. So if you’re eager to know more about the Q1 production, check back in once in a while.